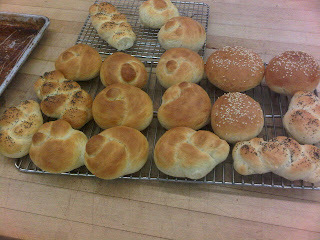 Today was our last lab of baking ! So sad, but we made bread! I have never made bread before, but it acutally was quite easy. And I must say, there is nothing like slathering a hot fresh bun with some cold butter!